Join the Quest for the Gol﻿den Fleece! The Greek myth of Jason and the Argonauts is replete with images, people, and events that are a part of our intellectual, cultural, and symbolic heritage: the Golden Fleece, the voyage of the Argo, the clashing rocks, the Harpies, the dragon’s teeth, and more. For more almost three thousand years the Jason story has been told and retold, yet there has never been a modern full-length English language book exploring the rich history of this primal myth, which was the template for Homer’s Odyssey, Virgil’s Aeneid, the quests of the Middle Ages, and even the epic stories of our own time. This myth in an entry point into a fascinating discussion of humanity’s earliest religious ideas, encoding within it more than a thousand years of changing Mycenaean and Greek attitudes about life, the gods, and humanity’s place in the cosmos. It’s time to rehabilitate Jason and the Argonauts. 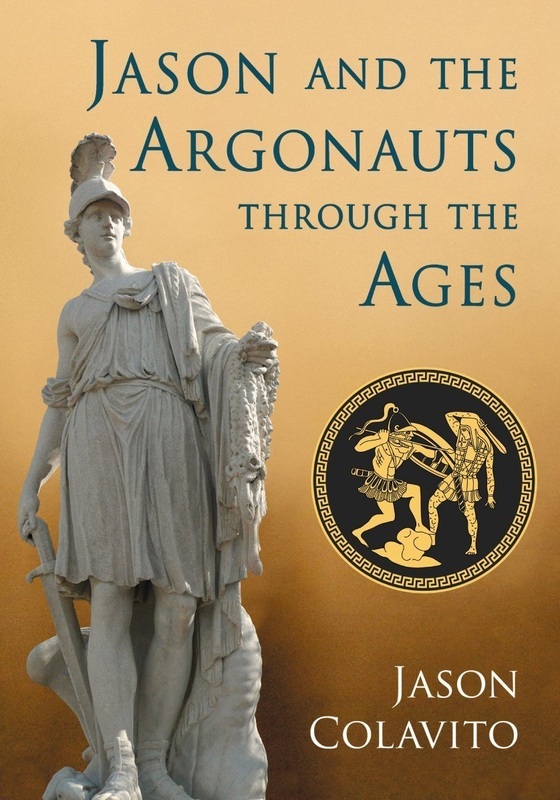 Jason Colavito's nonfiction book, Jason and the Argonauts through the Ages explores one of humanity’s earliest epics in its archaeological, cultural, artistic, historic, and literary context to present for the first time in one place startling new scholarly research conducted over the past ten years across many disciplines, shedding light on the hidden origin and forgotten meaning of this essential Greek myth. It will cover the myth’s history from the Neolithic down to today, including the latest adaptations in graphic novel and video game forms. This book answers the question: What was the Golden Fleece, and where is it today? This website provides a wealth of information about the Argonaut myth, including character biographies, ancient texts, classic scholarship, image galleries, and more. Take a look around and join the Argonauts on their voyage.